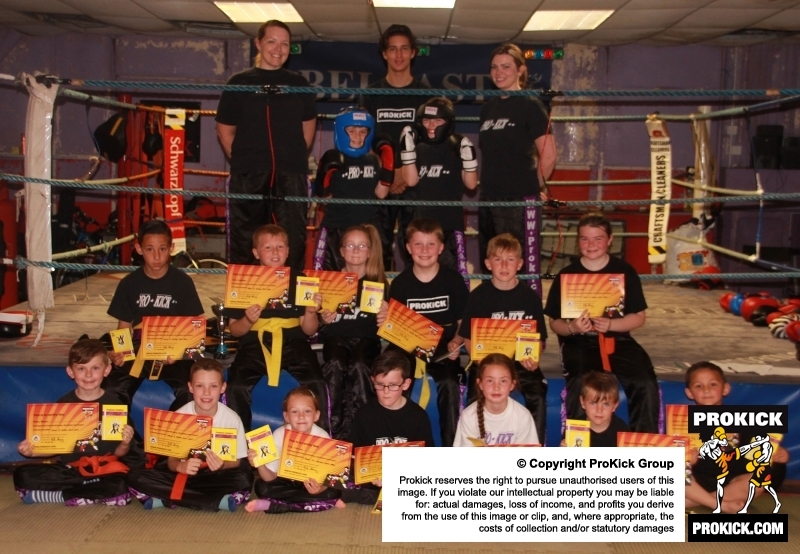 ProKick's next generation of wannabee champions were all working hard at the ProKick gym TODAY Sunday 12th June 2016 - the young high kicks were put through their paces for the next level of kickboxing excellence. All students (children) from advance beginner up to purple belt levels had an hour and a half of non-stop testing in hope of obtaining their next belt/grade. Next-up were the adults who stepped up a grade from Advanced to Blue belt at the senior grading, more on another news article. Doors opened for ProKick Kids registration at 1.30pm, with the kids grading starting bang-on at 2pm. The ProKick adult registration was at 3.30pm with the adults grading commenced at 4pm.